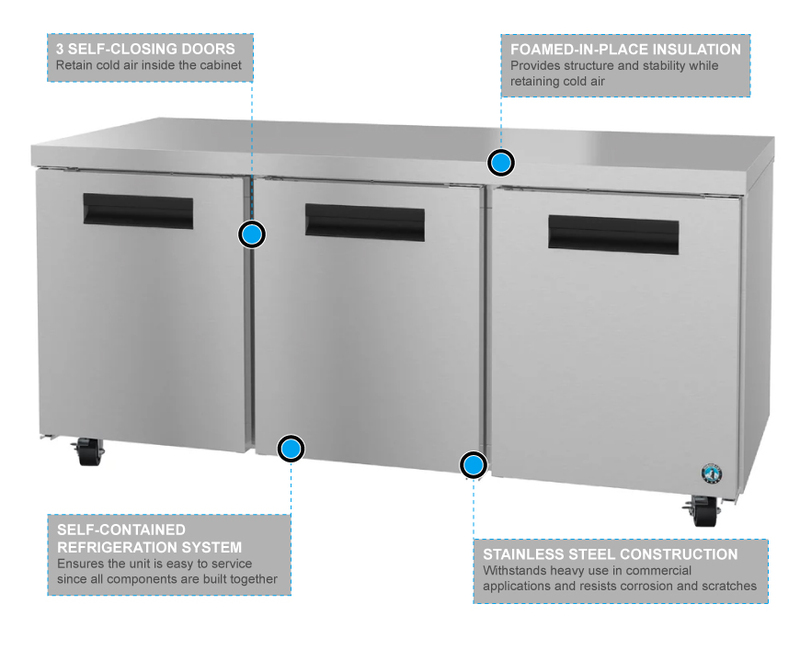 The Hoshizaki CRMR72 undercounter refrigerator is constructed of stainless steel, making the unit resistant to corrosion and minor damage. Structure is added with the foamed in place polyurethane insulation that also helps keep cold air inside the cabinet. 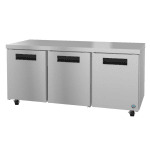 This refrigerator has three sections; each section comes with an epoxy-coated shelf that resists corrosion. Bottles, cans, and food product can be held in this unit. The doors are self-closing to help keep cold air inside but have a stay-open feature for cleaning the interior or loading product. The flush handles will not damage easily and makes opening the doors simple. Its front breathing design allows the refrigerator to be placed against a wall. 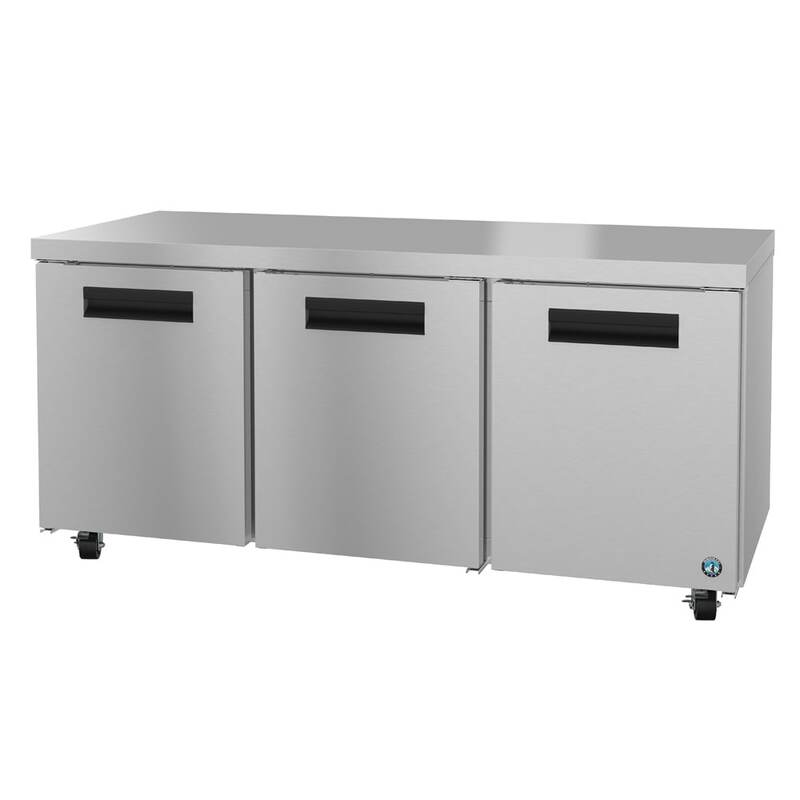 The Hoshizaki CRMR72 undercounter refrigerator has a self-contained refrigeration system that is easy to service since all the components are built together.